Badminton is one of the most popular sports in the country and among the most popular activities that we here at Everyone Active offer. There is, however, a big difference between playing for fun at your local Everyone Active centre and playing the game to an elite standard. To find out more, we’ve spoken to two members of our Sporting Champions scheme – twin brothers Alex and Toby Dillingham – both of whom play the sport internationally in the U17 age groups. How did they go about getting into the sport in the first place? How much time do they have to commit to the sport? What do you have to do to go from playing casually to competing internationally? Read on to find out the answers to all these questions, and more. 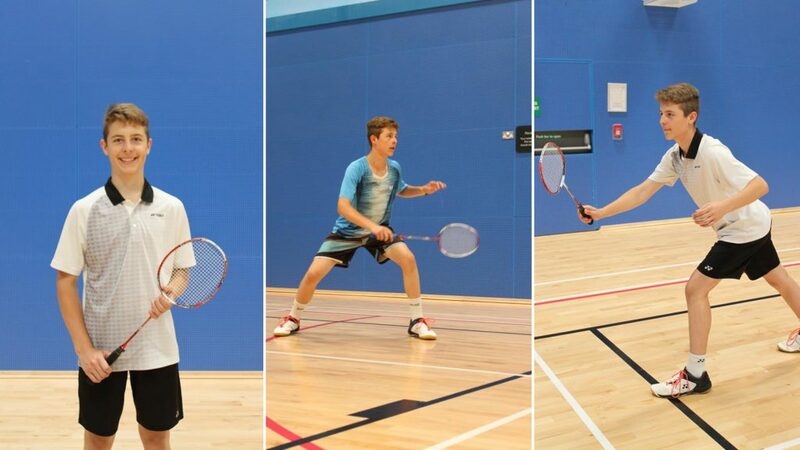 Both Toby and Alex were inspired to first pick up a badminton racquet by family members – with Alex being inspired to do so by his older brother Merlin and Toby following in his parent’s footsteps, who had played it at university. Alex was the first to play the sport with any element of seriousness, joining the local club – the Fleet Falcons – and eventually being selected for the Hampshire County Squad. Meanwhile, Toby was roped in as Alex’s doubles partner at a local club tournament about six months later and, since then, neither of them have looked back, with both being selected to play for their country soon after their club debuts. Being twin brothers, the Dillinghams share the same training regime that helps them develop everything they need to improve their game, as well as making it much easier logistically for their parents! They both use Monday as a rest and recovery day, while Tuesdays and Wednesdays see them training from 5:45pm to 8pm. Thursday includes an individual coaching session from 2pm to 4pm, followed by another training session from 5:45pm to 8pm. On Friday they both do a strength and conditioning session with free weights at home. Saturday, meanwhile, is a rest day – unless they’re competing – and on Sunday they book a court to practice their shots for a couple of hours. Alongside this, they also do a strength and conditioning session with free weights. In the week leading up to a competition, they tend to take it a little more easily, with a greater focus on matchplay practice and less on the fitness and technical side of things. They’ll also work more on tactics – recognising their opponents’ best shots and how to exploit any weaknesses they may have. Neither brother is particularly superstitious ahead of a competition, they tend to just try and keep relaxed, make sure they’re prepared and have eaten and drunk enough (as well as having eaten and drunk the right things). They will also have a gentle warm up and think about their opponent and how to beat them. One of the toughest parts is keeping on top of school work – especially as they are currently taking their GCSEs – as well as keeping their badminton up to scratch. The key, according to both Alex and Toby is to keep on top of everything. Homework needs to be done almost immediately – during lunch breaks and break times, as well as in the car on the way to training. The same applies to revision for exams, starting early and paying attention in class is the key, according to Toby. How can others get Into Badminton? The best way to get into badminton, according to the two boys, is to find a local club and just start playing. They both started playing at their local club, which was hosted at their local Everyone Active centre, so start by finding your nearest centre here and work from there. You can either play with a club, or just play socially and move on from there. Alex’s top tips for any young, aspiring players is to use bodyweight exercises to make your core and legs really strong. Not only will this help you get around the court, but it’ll help improve the quality of your shots too. Secondly, he recommends finding out where county training takes place and try and get selected there. From there, you may get selected for the local performance centre and it’s here you’ll learn the most. Finally, play regularly with someone, no matter who it is just to keep your matchplay practice in. Toby expands on that, saying that you need to train hard, but above all have fun and persevere, even if you’re having a bad spell.